I can't remember exactly how our conversation turned toward the topic, but as we drove along in the car, my two friends began to proudly share how their grandfathers had fought in World War II. They had every reason to be proud. It is to brave men like those that we owe our freedom. As they spoke, my thoughts turned toward my own grandpa. 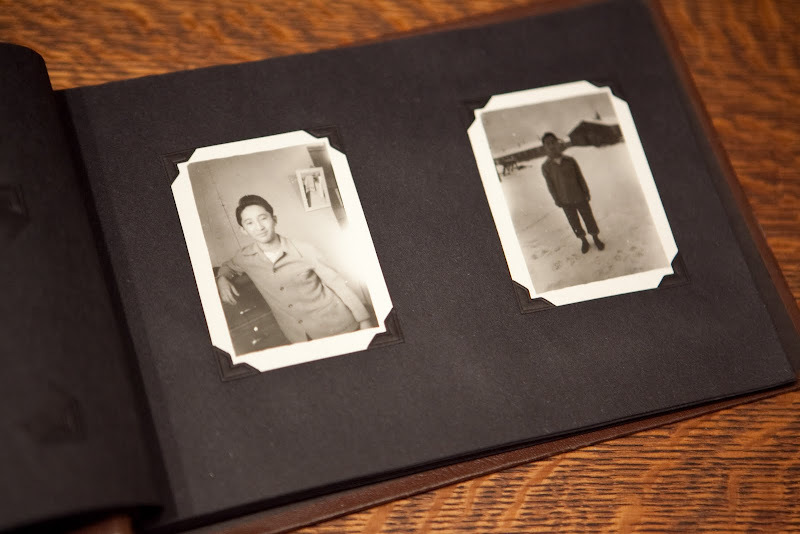 It was in June 1942, on his 12th birthday, that he and his family were herded into a train and taken to an internment camp near the Oregon border. I can't even imagine the pain of having to leave everything you know behind and being treated like the enemy just because your parents came from Japan. I'm proud of him. For enduring, for not becoming bitter, for going on to live the American life. Last month we sat around looking at old pictures. I laughed until I cried as I listened to my grandpa read thank you letters he had his children write to their soon-to-be step-mom. I saw pictures of the great-grandparents I had never met, of my dad's mother who died when he was quite young, and of cousins, aunts, and uncles. I had heard stories about different people and places, but it wasn't until I could see their faces for myself that they truly became alive to me. This is why I do what I do. It's not just for us today; it's for our children and children's children. So that they too can look back, be proud of their heritage, and pass on the stories of bravery and courage to the next generation. 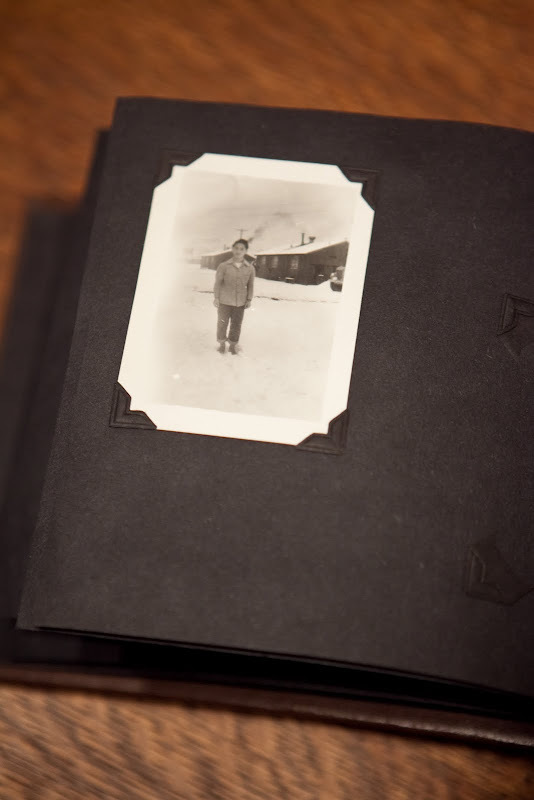 Though somewhat blurry and dark, these pictures, taken at the Tule Lake internment camp, show another side of my grandpa that I had never seen. 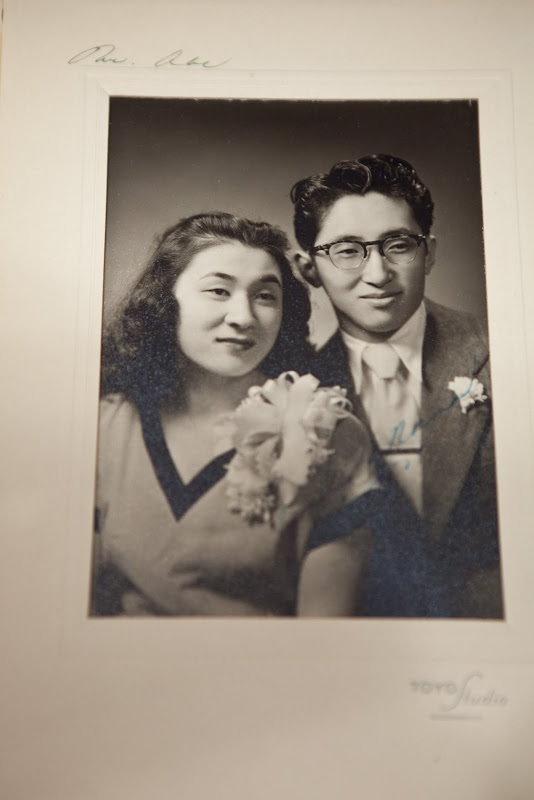 My grandparents' wedding picture. Don't they look so stylish? Your grandparents are beautiful people! I do want to know how to make them bigger! I know how to hotlink images, (from flickr or photobucket) I'm just not sure how to get a bigger blogger template? What a great story :) Don't we just have the best job in the world making moments like these possible?? I love hearing things like this! Great post Lydia, I read this a while back and have been meaning to comment. I'm assuming your grandpa was at Tule Lake? That's near my home town. I love old photos like these.. really an amazing/astonishing part of history.